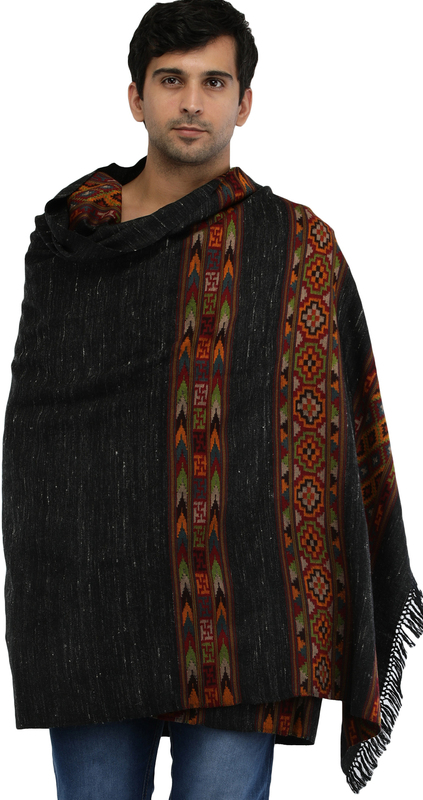 Handpicked from Himachali foothills, a region of bitter colds and exquisite fruits of the loom, this men's shawl has been fashioned from the wool of the mountain yak. It would provide you with a considerable dose of comfort, and the pastel threadworked panels along the edges a degree of high fashionability. Drape this over an ethnic or even a western ensemble to wrap yourself up in the luxuriance of homegrown warmth. Collections within "Stoles and Shawls"